I hate to poison the well. But guess which of these photos was taken with one of those free standing photo booths that you slowly wait for it to count down....3, 2, 1. and then at the count of 1, a really static not so focused, lacking in color - photo is taken. If you guessed the one in the middle you are correct! 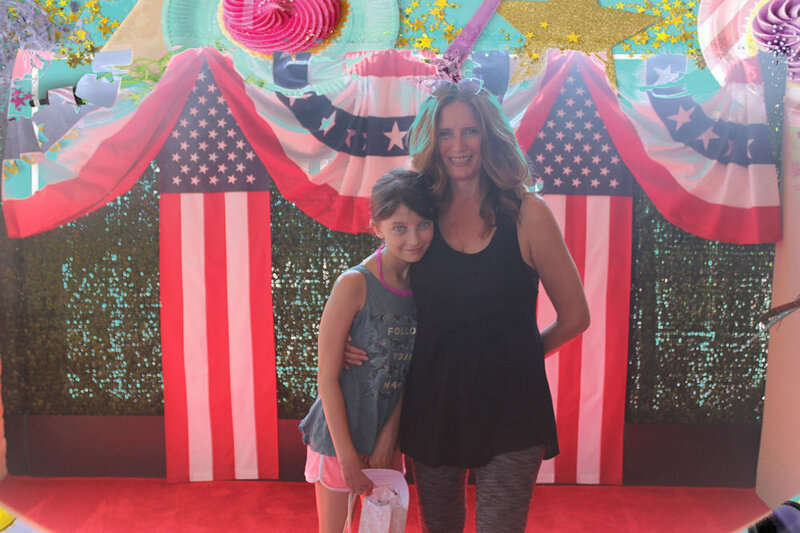 On the 4th of July this year, my daughter and I were at the parking valet at an amazing Scottsdale resort and just to the side was a freestanding photo station with an attendant encouraging us to have our photo taken. Of course we did. We braced for the photo - and there you have it - a not amazing picture but a picture none the less. I'll treasure it. But why do people hire us for the same exact set up? I'm comparing our set up at the Waste Management Open's Birds Nest from earlier this year. Same set: red carpet with fake green hedges. Why not compare apples to apples when you can? The difference in the picture quality is dramatic. We love that our clients recognize the difference in quality and hire us because they want gorgeous photos. As I said, I'll treasure any photo (especially if my daughter is in it with me) but if I could choose between the two, I would take the photo with the better lighting, photographer taking the photo and great color output.